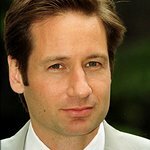 David Duchovny is one of the stars expected to attend the 100 Mile-A-Thon to benefit The 100 Mile Man Foundation and the Harold Robinson Foundation at Santa Monica Pier this weekend. The 100 Mile Man and The Harold Robinson Foundation are teaming up bringing their annual bike ride to the the West Coast at the Santa Monica Pier. 100 Butts. 100 Bikes. 100 Miles! All of the proceeds will go to the Harold Robinson Foundation, providing a camp experience for underprivileged children that would otherwise never get the opportunity. The aim of the event is to raise $ 500,000 which will send 20 different inner-city schools to camp for all expense paid retreats. 100 stationary bikes will be positioned on Santa Monica Pier for the event. You “buy” a bike for the day and can either share the bike with a team (friends/co-workers/family) or ride individually. It should take six hours to ride the entire 100 miles.. Yes, it’s hard…but so is changing the world! This event was organized to raise funds for the Harold Robinson Foundation, which provides underprivileged children the means, free of cost, to attend a safe, nurturing and non-competitive camp environment where they will experience nature and participate in diverse recreational programs designed to strengthen confidence and independence, build character and develop leadership skills. 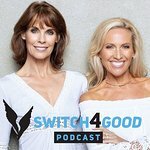 Other celebrities expected to attend include Peter Krause (Parenthood), Doug E. Fresh (rapper), Alexandra Paul (Baywatch), Michael Bergin (Baywatch), Brooke Burns (Baywatch), David Chokachi (Baywatch), Greg Bonnan (creator of Baywatch), Mike Newman (Baywatch), Kelly Packard (Baywatch), Felicis Terrell (Point Dume), Vickie Bronaugh (Point Dume), David Braff (Point Dume) and many others. The event opens at 10am on Sunday, finishing at 5pm. There is a $250 registration fee for each participant. Each bike must raise a minimum of $1,500. The 100 Mile Man Foundation is a 501c3 that was founded in November 2006, when Jesse Itzler ran 100 miles (non-stop) in under 24 hours. Today, the foundation continues its “physical philanthropy” raising money for various charities through endurance events that test one’s physical and mental strength. To date the foundation has raised over $3 million, supporting over 30 charitable causes.